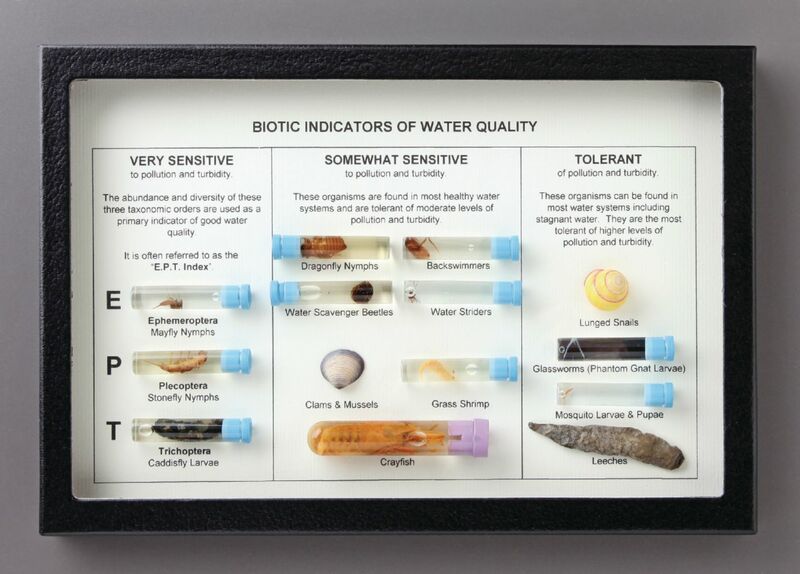 This comprehensive display is a great tool for reviewing water quality indicators or identifying aquatic macro-organisms from field studies. Featured first are the 'EPT' larval specimens (Ephemeroptera, Plecoptera, Trichoptera) which are very sensitive to pollution and turbidity. 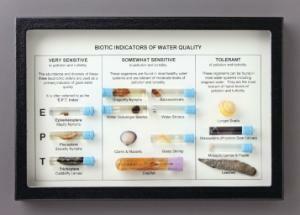 Next are seven species commonly found in healthy water systems and tolerant of moderate pollutants. Finally, the 'tolerant' species are represented by four specimens including a lunged snail and leech. Each specimen is fully labeled.